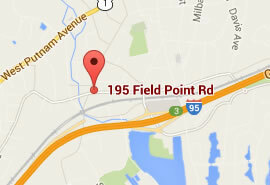 Welcome to the American Lipo Centers Greenwich Connecticut location. We look forward to answering your questions about cosmetic procedures and providing you with the best resources to make an informed decision in considering liposuction and laser liposuction. The newest addition to liposculpture and body contouring is Laser Liposuction. It is less invasive than traditional liposuction and can provide fat reduction, skin tightening, and body contouring on any area of the body where fat is present. Because it is less invasive holes are smaller, most cases are done while awake and patients can begin to lightly exercise the next day. Are You a Good Candidate for Laser Liposuction? The ideal patient for laser liposuction is motivated to pursue a healthy lifestyle to promote ideal body shape. This includes regularly scheduled exercise and sensible eating habits. By combining the sculpting skills necessary for superior results in liposculpting patients with the skin tightening abilities of internal lasers, American Lipo Centers in Greenwich promotes a healthy self concept with excellent body contour. The laser-assisted liposuction system is a highly effective solution for destroying and permanently eliminating fat cells. A laser fiber is introduced through a small cannula, delivering energy directly to subcutaneous fat cells-causing them to rupture. Our board-certified plastic surgeon has completed thousands of cosmetic surgery cases. Our physicians and nurses utilize the most advanced technologies and techniques while providing compassionate care that is highly personalized to our patients and clients. Laser liposuction is much more affordable and less invasive than traditional liposuction. Check out our current laser liposuction specials and save even more! We have a strong sense of appearance and aesthetics and we will provide you with options that are in line with your goals and expectation. Your laser liposuction procedure will take only 2-3 hours and you can return to work in a couple of days. Why do people across the tri-state area choose American Lipo Centers in Greenwich CT?